This thread is going to cover the Kings Landing server that I administrate. 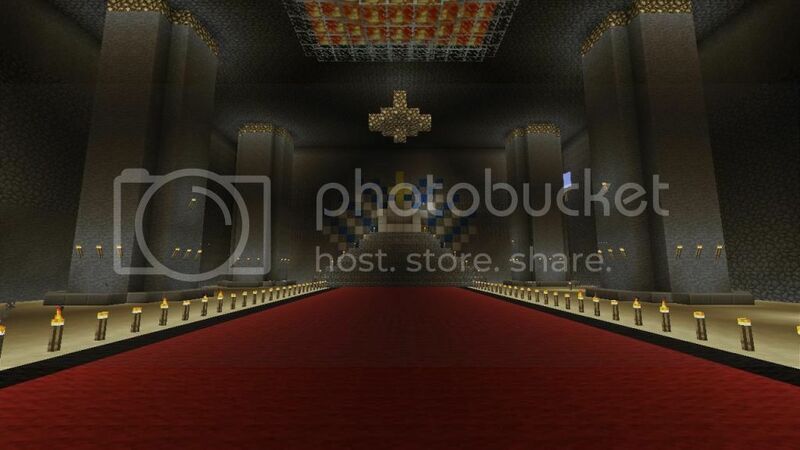 I'm going to be posting information, updates, pictures, and news about what's going on with our server. This thread is going to be mostly for people who are active in the server to discuss the server, post pictures, etc. If you are trying to join, the server is currently closed to new people. We will be accepting applications in another couple weeks or so in a different thread. Please don't post requests to join here; they will be ignored and I will ask a moderator to delete them. As of right now, we're still on Peaceful mode, building up the Kingdom. We've mostly finished construction on the major projects like the Castle and Arena, now it's time to shift our attention to the bank so that we can officially open the server for business and let the commerce begin! 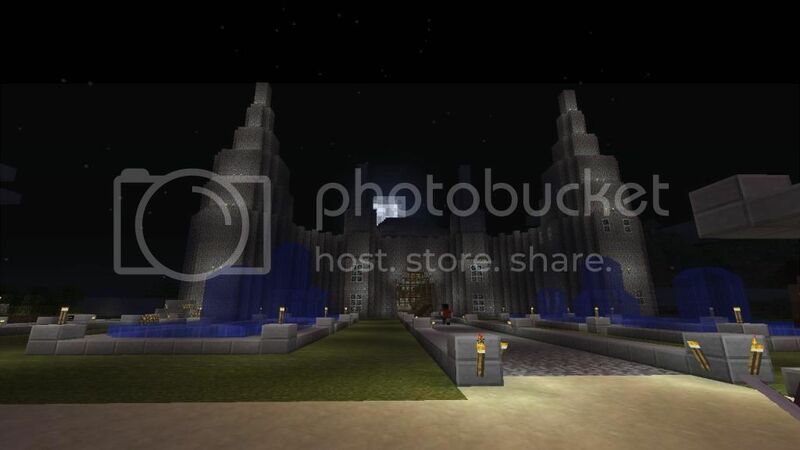 Outside picture of my castle, although it looks a lot different (better) now. No worries, anyone can post here; all comments are welcome. I just don't want a thousand applications to join crowding up the thread. Lol. Could you guys please post here when you are accepting new applicants I would really appreciate it. Diamonds for you. I'd love to check it out & play aswell. Very cool. Are you going to build "The Wall" and Winterfell? We're working on The Wall...it's freaking massive and is going to take a while. We're not really going for an exact replica of Winterfell but we are trying to keep with the theme with the buildings and such. I vote that the king must move to a central time zone so I can get paid, lol. All in favor? If you don't build The Wall entirely out of snow, I will be disappointed. Well, with the obvious exception of Castle Black and... Whatever the other two active castles on The Wall are, I forget their names. You are now blinking and breathing manually. I'm Eastern....but even central would be better...so.....AYE! Although I think he should move to the East coast so the King and Queen can be on the same damn schedule. I've banned and deleted quite a few people from my friends list tonight and brought in as many new people as we could. A lot of labor got done but that wall isn't going to build itself. We're probably going to be opening up the server to new people in the next couple days. I will make another thread for applications once we're all ready. Omega put on some purrdy perfume for the zombies. I was up all night with a rusty hammer, trying to build a fence around these magic beans my dreams have gathered. I vote that the Bank manager gets a better and bigger castle... i hear he has been working very hard on the bank... .______. Artists cannot fail; it is a success to be one. Nope, I worked hard on a ton of stuff and all I got was a ban so go figure. 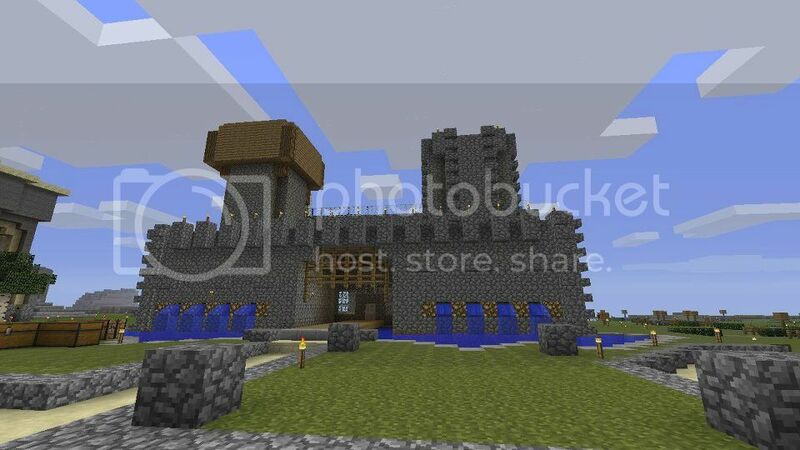 Actually, we've hired a builder to renovate the outside of the castle. He's only just begun but he's updating the pillars from the terrible square-looking towers to more rounded towers. If you were ever on you could check it out! Here's Applejack in leather pants posing with his best friend. Tomorrow I'm going to update the pictures in the thread with more current ones. The castle and the Wall look a lot better too.And I'm not sure about where the inspiration for the Throne Room came from. That was built by OmegaStarAlpha. He built the entire Castle and Arena, which includes the Throne Room.